Origin Available in Eastern Africa, South & Tropical Asia and Australia. Abroma augusta is a species of the flowering plant in the genus Abroma, family Malvaceae. 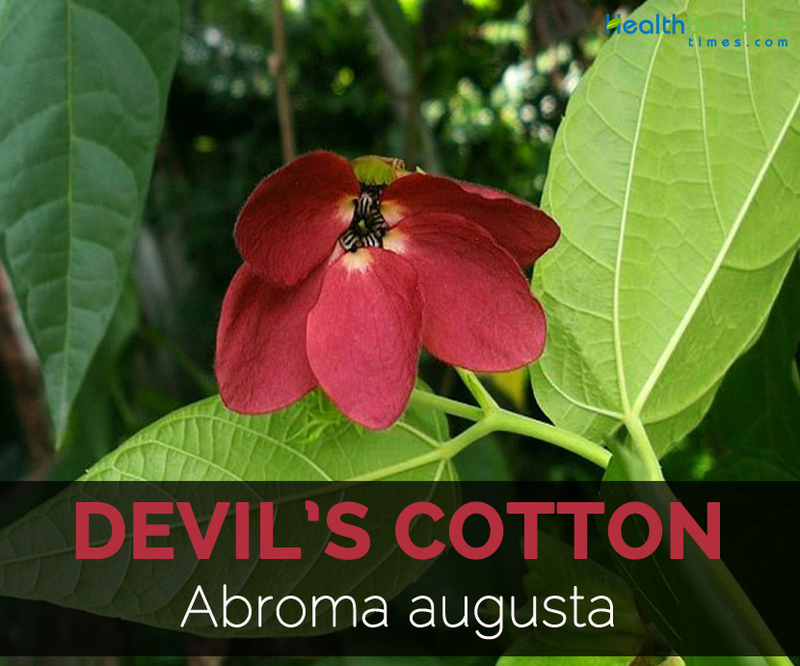 Commonly known as Devil’s Cotton and Ulat kambal, it is a small tree with downy branchlets and branches. 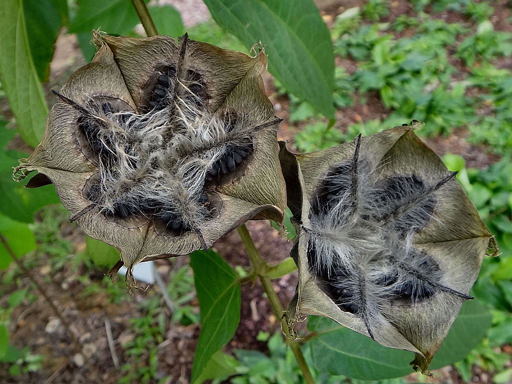 Its flowers are 5 cm in diameter either purple, dark red or yellow. Its leaves are ovate to oblong and pointed. The species grows as a large shrub or small tree which is 2.5 m tall. Leaves are 10-21 cm long and 5.5-13 cm wide with a heart shaped or ovate to oblong. 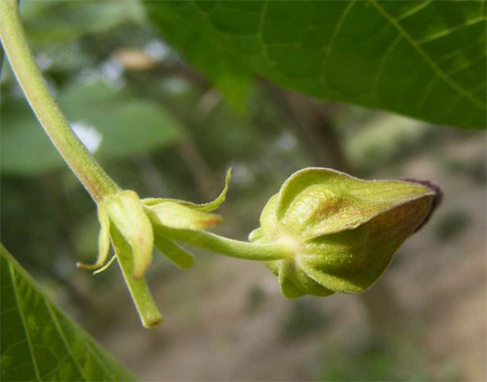 It has lance shaped and fused base sepals. There are five, concave and prolonged above. 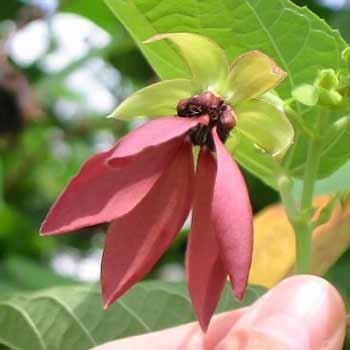 It bears fruit which is a five winged capsule, obpyramidal and 3.5 cm as a diameter. Seeds are obovate and 3 x 2 mm in size. The roots are fibrous and dull. It is available in Eastern Africa, South & Tropical Asia and Australia. It is cultivated widely in India from Punjab, Uttar Pradesh, Assam, Arunachal Pradesh, Tripura and Meghalaya. It is cultivated for ornamental purposes. The sap of bark is an uterine tonic and emenagogue. The root use for itch. It is helpful for dysmenorrhea, uterine disorders, rheumatism, arthritic pain and diabetes. It provides relief from headache that is caused due to sinusitis. The infusion made from leaves and stems in cold water is used as a demulcent and treats gonorrhea. In Ayurveda, it is used to treat used for chronic uterine bleeding. Stems and leaves are used in Bangladesh to cure menstrual disorders and uterus diseases. The bark and roots are used to cure the leucorrhea and menstrual problems. In India, it is used as a cure for dysmenorrhea. The decoction made from leaves and stem bark is used in Himalayas for the treatment for diabetes. The juice extracted from root bark helps to regulate the menstrual flow. 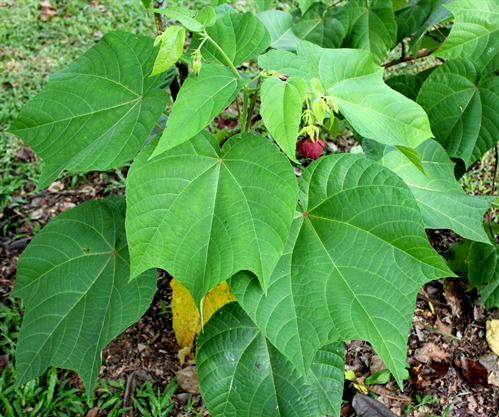 The leaves help to treat uterine disorders, rheumatic pain of joints and diabetes. Leaves and stem are demulcent and an infusion of fresh leaves and stem in cold water is very efficacious in gonorrhea. 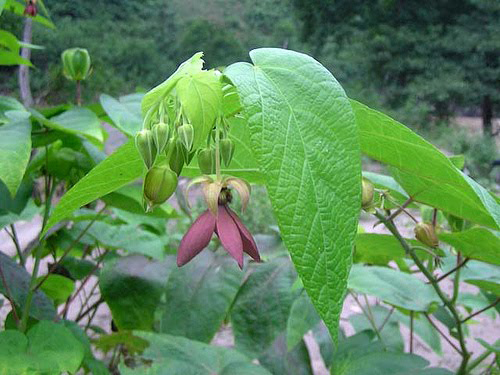 It regulates the flow of menstruation and also used as abortifacient. In India, it is used for the treatment of dysmenorrhea. It helps to treat uterine disorders, rheumatic joint pain, diabetes, stomachache, gonorrhea, diabetes and dermatitis. The roots are boiled in water in order to prepare decoction. For this, 5 gm of root should be boiled in about 400 ml water. It should be cooked until the water is reduced to 100 ml. It should be consumed daily twice in a day. 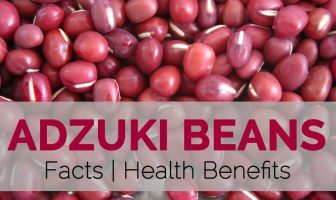 It balances the level of hormones and also regulate menstruation as well as treats excessive bleeding. The use of root powder prevents an immature decrepitude. The decoction made from dried bark and powder of black pepper corns helps to provide relief from menstrual problems. It may cause the side effects such as vertigo, heartburn, burning abdomen and excessive bleeding. The pregnant and breastfeeding women should avoid it because it increases the risk of bleeding and spotting. One should consult a medical professional before using it during lactation or children. 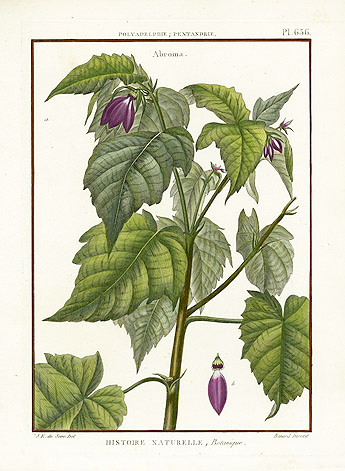 Ambroma augustum (L.) L. f.